There's always a positive and a negative side to everything. Social media is prove of that, since it can be used to share what we love and what we have to say as well as creating some harsh comments. Regardless of that, social media can be an amazing tool and the Hollywood Reporter has made a list of the top 10 actors who are most popular in social media based on data from Twitter and Facebook. For the first time� Jim Carrey made it to the list! Yes! "Jim Carrey: actor, comedian and� budding artist. Carrey posted multiple drawings and paintings of his own design to his Twitter account, including images of the recently deceased Stephen Hawking and President Donald Trump characterized as "the Wicked Witch of the West Wing." 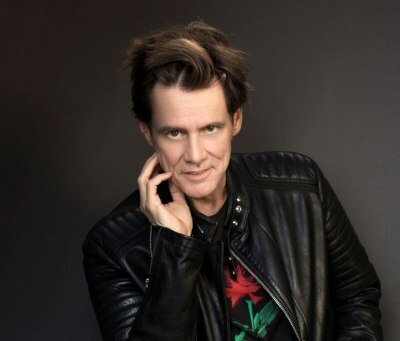 Carrey's art helped him to his first Top Actors appearance at all, let alone his maiden top 10, with a 1,332 percent hump in Twitter likes (482,000) and 108,00 total retweets (up 1,998 percent)." We are excited that people have paid attention to watch what Jim has to say and share. We at JCO will continue to keep you updated as the news rank even higher. -- Source: Hollywood Reporter. Click to comment this article.